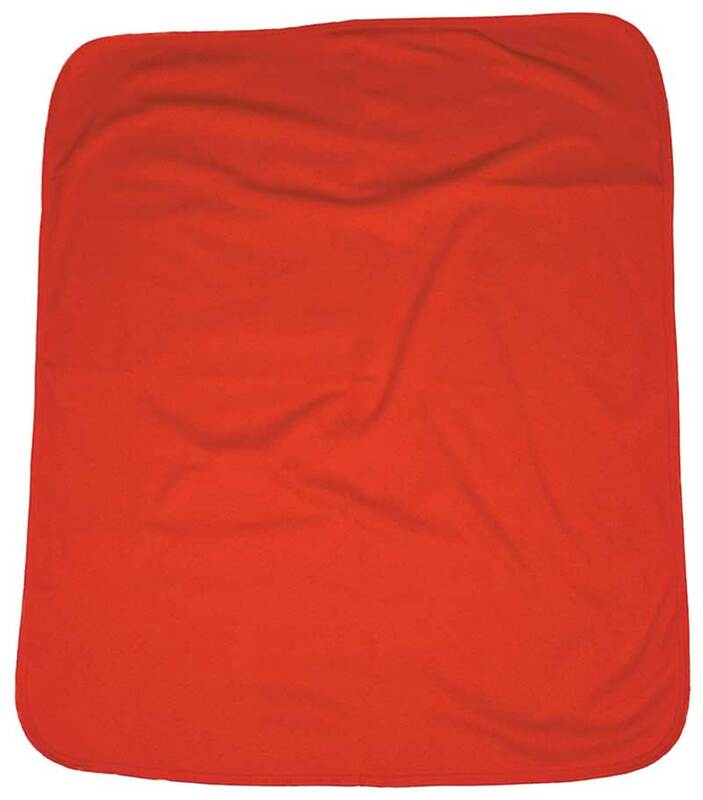 Body suits and blankets....babies use a ton of them. 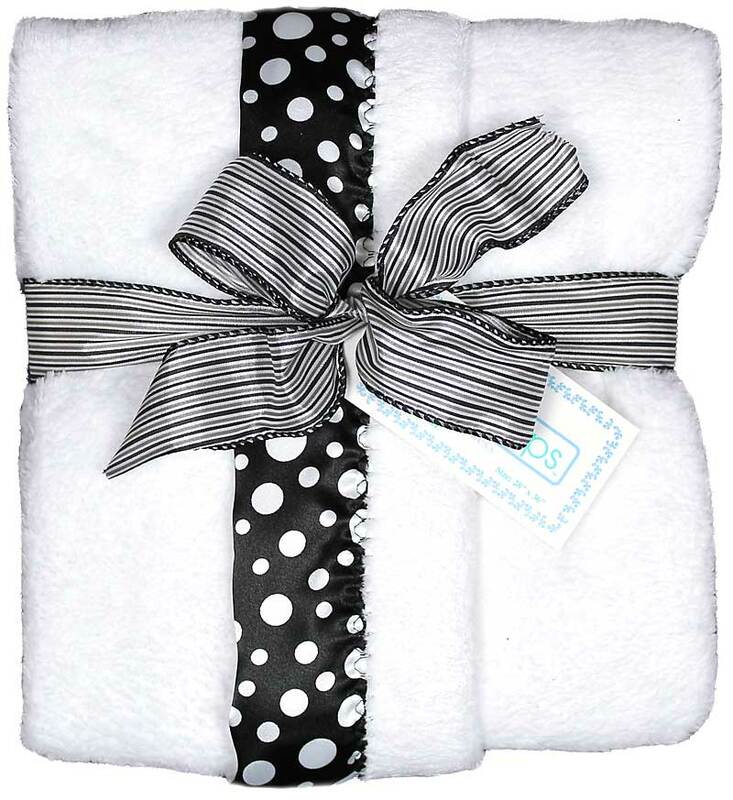 So, show the recipients of this gift that you care by giving a really usable gift for that new loved baby. Gift giving is about creating happiness and building bonds of emotion and love. You will be remembered as the one who gave the cutest gift set to this new baby. What makes it so exceptional? Well, first, it's the packaging. Everything is assembled in a beautiful black and white container, enclosed in a sheer net bag and tied with a matching polka dot ribbon. 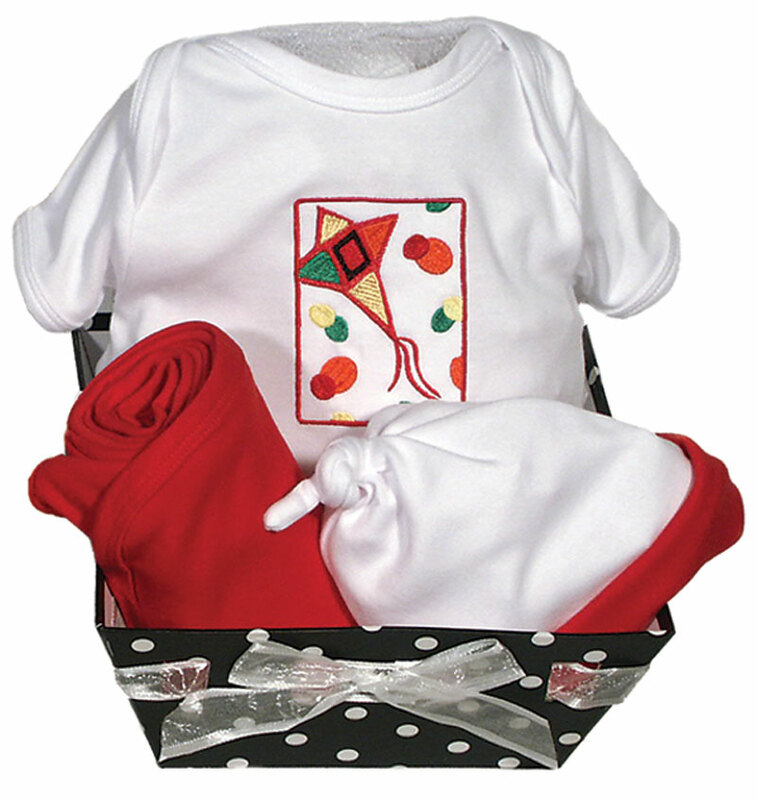 This gift set can be delivered to Mom's door or sent to your location for you to bring to that special baby shower. This set measures 8 inches across by 11 inches high. The container can be used to store baby socks, diapers, small toys, bibs and more, after the gift is opened. But it's what's inside that makes this set significant. 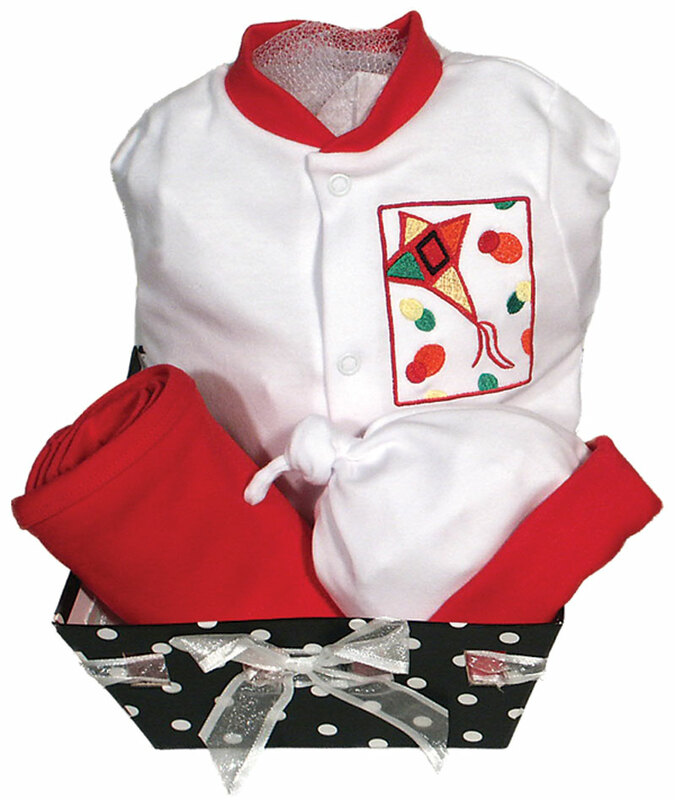 Included in this gift set is a short sleeve body suit, a matching cap and a full sized receiving blanket. 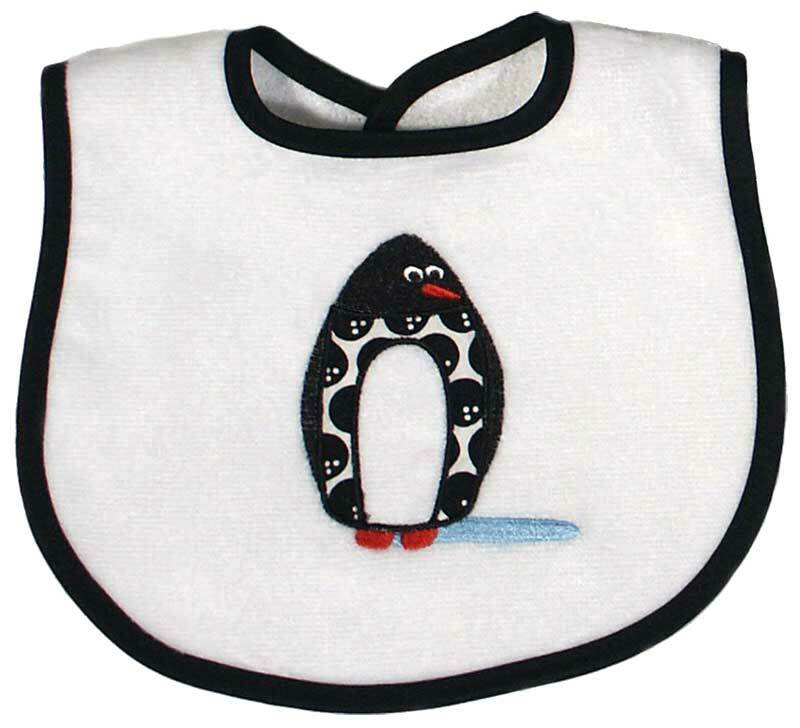 The body suit is embroidered with a modern bright kite and done in 100% cotton interlock, not jersey, which means it will be softer on baby's delicate skin and it will wash and wear longer. Mom can add a denim short or jean to this body suit and it becomes a whole different outfit. 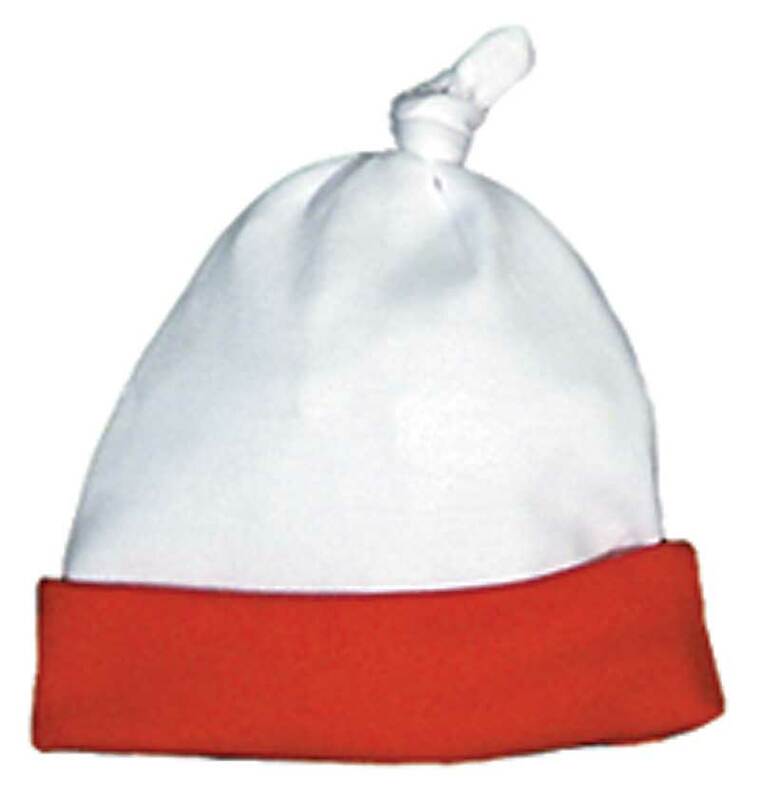 This gift set is available in a footie version, too. 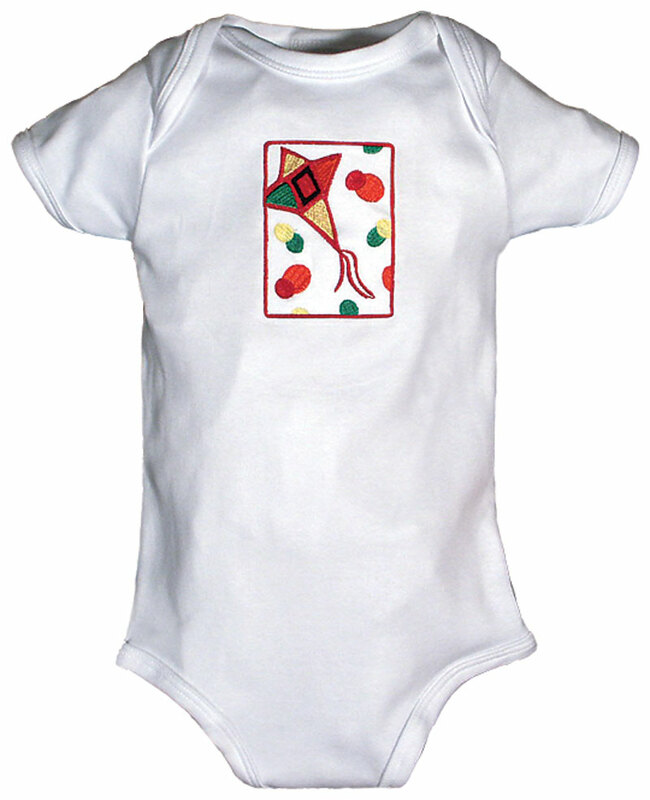 The red kite style is for unisex babies, not born yet, and it comes in a royal sailboat version for boys, and a strawberry floral version for girls, as well. Body suit is size 0-3 mo. 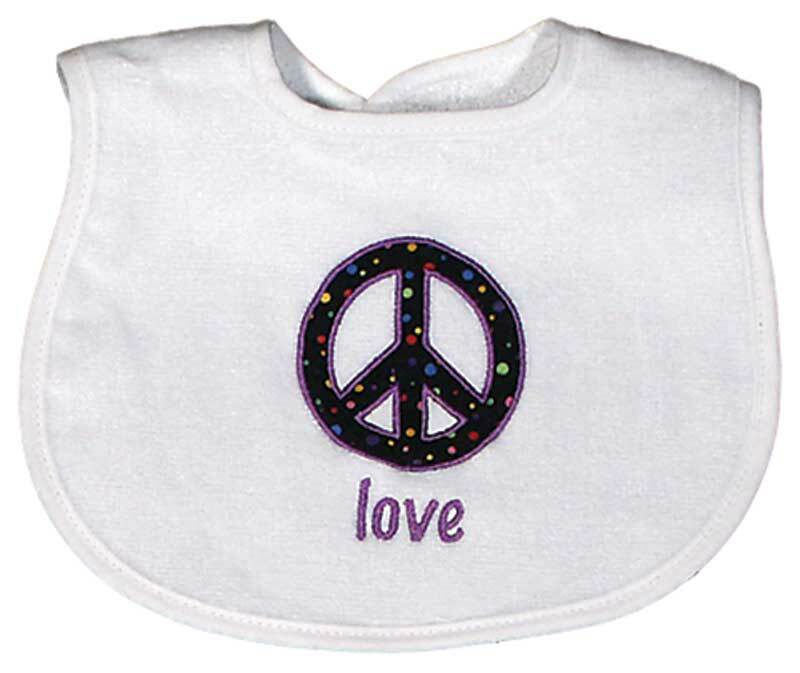 or size 3-6 mo.